Only 14 miles away from the beautiful and bustling San Francisco is the Bay Area’s most esteemed county – Marin County. Just across the world famous Golden Gate Bridge on the western and northern shores of Richardson Bay is the illustrious Mill Valley. Beautifully located near the southern slopes of Mount Tamalpais, complete with wooded canyons of second growth redwoods is this incredible Bay Area town that is a must see. With only a population of 14,000 people, Mill Valley is a classic Bay Area city home to the natural charm of Northern California. It’s Mediterranean climate is coupled by it’s unique microclimate make it beautiful all year round. There are many incredible recreational parks connected by a unique network of pathways that allow pedestrians to easily get to them on foot. The Tenderfoot Trail, Zig Zag Trail and Cypress Trail are just a few of the many trails that make up miles of beautiful walking paths in this North Bay enclave. The famous public library at the edge of Old Mill Park add to the serene and jaw dropping environment and allow for visitors to enjoy this natural setting from the comfort of a reading chair. Mill Valley also is home to a unique art and music community and over the years has been home to a wide range of musicians from jerry Garcia to Sammy Hagar and Janis Joplin. The Muir Woods, Edgewood Botanic Garden and wide range of other outdoor spaces naturally compliment the modest downtown making Mill Valley perfect for those who love the outdoors or want to enjoy a nice dinner away from the busy urban center of the Bay Area. Apex Limousine Transportation is proud to begin offering residents and visitors of Mill Valley our wide range of luxury limousine transportation service options. Mill Valley, due to it’s incredible scenery, is a top choice for Bay Area residents to host their wedding day. The magnificent setting of Mt. Tamalpais is a perfect choice for couples who want to spend their special day in the foreground of this incredible mountain. At Apex Limousines we understand how stressful wedding planning is. We work closely with couples to ensure that our luxury limo services compliment your wedding day dreams. Our professional limousine drivers and beautiful fleet of limousines are capable of transporting guests no matter how large the party. We also offer full junior prom and senior ball services. Our limo drivers are a favorite among parents for their commitment to safety and favorite among students for their commitment to making sure every guest has a great time. For residents who need transportation to or from one of the major Bay Area airports including SFO, OAK or SJC, we offers timely and reliable luxury limousine, sedan and SUV transportation. 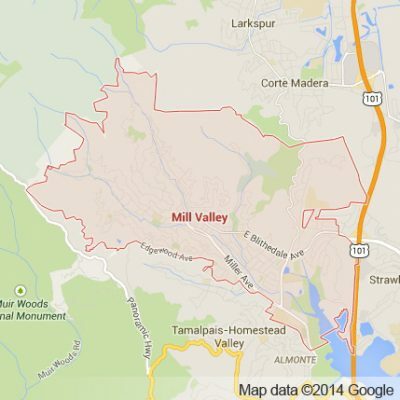 We also specialize in bringing residents of Mill Valley on day long Napa Valley Wine Tours. Our knowledge and experience make us the perfect choice for your next exploration of the Wine Country. If desired, we can help you and your party plan which wineries and restaurants you will visit on your Wine Country visit. At Apex Limousine we take professionalism as seriously as we take luxury. This combination make us a unique company in the Bay Area. We are committed to ensuring that your experience with Apex is one you will never forget. So please give us a call and let’s start planning your next incredible adventure today. Please call us for car service all inclusive total for Mill Valley to/from Napa Valley transfer.